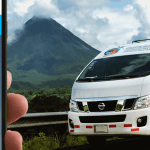 Tropical Tours Shuttles: from and to Liberia Airport Daniel Oduber Quirós in Guanacaste, Costa Rica we offer daily shared shuttle bus services and private minibus transportation. Price ranges from Liberia Airport LIR terminal starting at: $45 per person on shared shuttles and $145 on private minibus services. Depending on the destination prices vary. I used tropical tours twice. I took a private shuttle with my girlfriend from Liberia airport to Playa Carmen (typically about 5 hours). Since it was the two of us, the driver offered to take us on a shortcut. We managed to get to Playa Carmen in 4 hours which was fantastic. The route was scenic (and quite bumpy at parts) but our driver was nice, pointed out some cool things along the way, and was willing to stop whenever we needed a break. It was expensive for 2 people but our flight landed at 12 and the next group shuttle wasn't worth waiting 3 hours for. In the end, we got to our destination about 5 hours before the group shuttle would have, so I consider it totally worth it. Excellent service. Had to change shuttles twice to take on new passengers, but it was not a problem. 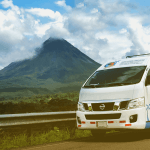 We used Tropical Tours for its shuttle operation between Montezuma and Liberia. 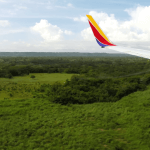 The reservation was straightforward with immediate confirmation, the shuttle arrived on time and offered a smooth ride with 2 stops during the 4-5 hour drive. Highly recommended. 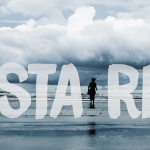 We used Sunset and Waves to travel from Liberia to Santa Teresa and from Montezuma to Liberia. The drivers arrived on schedule and were very helpful. The vehicles are air conditioned and the 30 passenger bus provided free wifi. Booking is easy through their website. Got us there and back safely and quickly, 1st trip through the night and 2nd trip just in time for our flight. 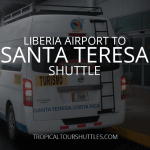 We took the shuttle from Liberia Airport to Santa Teresa. Everything went smoothly, from the pick-up at the airport to the drop-off at our rental house. Very easy booking online, and nice minibus. Thank you for such a great trip! We will be back. They were very helpful when we booked and reliable. 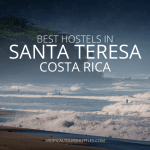 We took their shuttle from Liberia Airport to Santa Teresa and back again. It was the best price for a shuttle that we could find and accommodating. 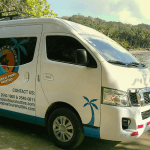 It was an easy process to book online with Tropical Tours and got us to and from our destinations in good time. 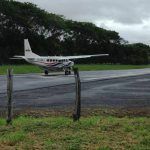 Our local business offers private minibus transportation from Liberia Airport for groups of people or regular taxi service to any destination in Costa Rica. 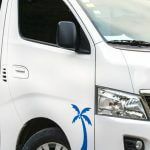 Our minibuses can carry up to 10 persons on small minibuses and up to 30 persons on larger buses, however after 6 persons there is an extra charge of $20 per person. Please contact us for larger groups.